1. Insidious onset: Pallor, lethargy, fatigability, and anorexia; sore red tongue and glossitis; episodic or continuous diarrhea. 2. History: Similarly affected sibling or a sibling who died; maternal vitamin B12 deficiency or poor maternal diet. 3. Vitamin B12 deficiency: All infants show signs of developmental delay, apathy, weakness, irritability, or evidence of neurodevelopmental delay, loss of developmental milestones, particularly motor achievements (head control, sitting, and turning). Athetoid movements, hypotonia, and loss of reflexes occur. In older children signs of subacute dorsolateral degeneration of the spinal cord may occur. The usual symptoms are paresthesias in the hands or feet and difficulty in walking and use of the hands. 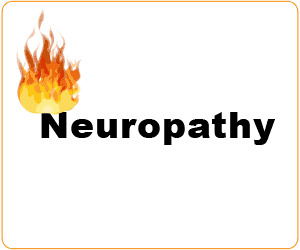 Symptoms arise because of a peripheral neuropathy (especially paresthesias and numbness) associated with degeneration of posterior and lateral tracts of the spinal cord. Loss of vibration and position sense with an ataxic gait and positive Romberg's sign are features of posterior column and peripheral nerve loss. Spastic paresis may occur, with knee and ankle reflexes increased because of lateral tract loss, but flaccid weakness may also occur when these reflexes are lost but the Babinski sign remains extensor. MRI findings include increased signals on T2-weighted images of the spinal cord, brain atrophy, and retarded myelination. 4. Deleterious effect of cobalamin or folate deficiency apart from neurologic complications are increased risk of vascular thrombosis due to hyperhomocys-teinemia. 5. Maternal folate deficiency results in neural tube defects, prematurity, fetal growth retardation, and fetal loss. 6. Inborn errors of metabolism of cobalamin and folate result in failure to thrive, neurologic disorders, unexplained anemias, or cytopenias. Plasma levels of methylmalonic acid and homocysteine should be determined in these cases to elucidate the precise diagnosis. Elevation of these levels reflects a functional lack of cobalamin and/or folate by tissues even when plasma vitamin levels are at the lower level of normal.